This plant was bought from a nursery and it didn't have an id marker. It is fuzzy/feathery red and green, and has shallow roots. It looks almost fluffy. I'd like to find out what it is so I can take care of it properly. 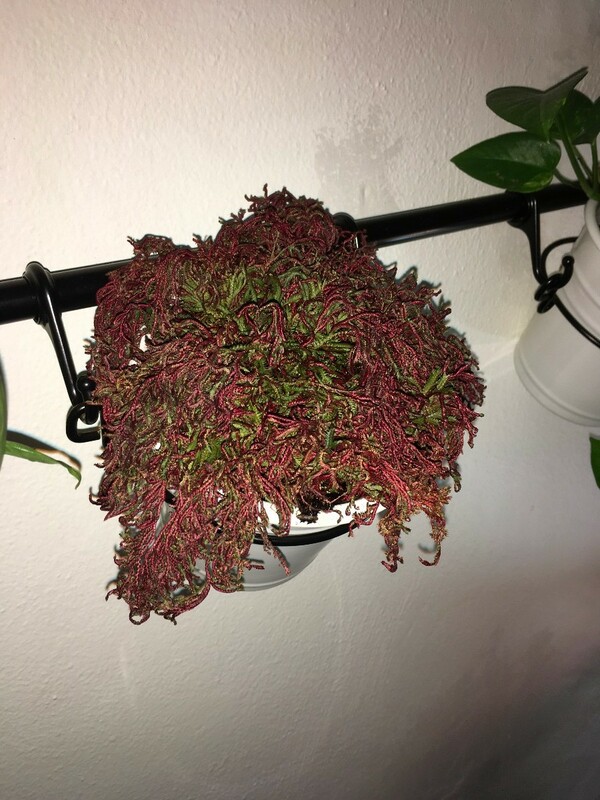 It looks like a coleus. It likes light. Water evenly.